Mosley Tribes blending classic and contemporary design release their first ever optical offering, the Bryson. The Mosley Tribes Bryson eyeglasses are a timeless unisex shape which blends acetate and metal into a single unique cohesive design. Inspired by vintage motorcycle styling, the frame features a modified cable temple; where the temple tips are constructed from stainless steel, adding a subtle and cool touch. Other features include: a key-hole bridge, real riveted plaques/hinges, and the signature Mosley Tribes icon discreetly on the temples. It is available in 5 unique colors, colors such as: “Slate Gradient” or “Scotch”. 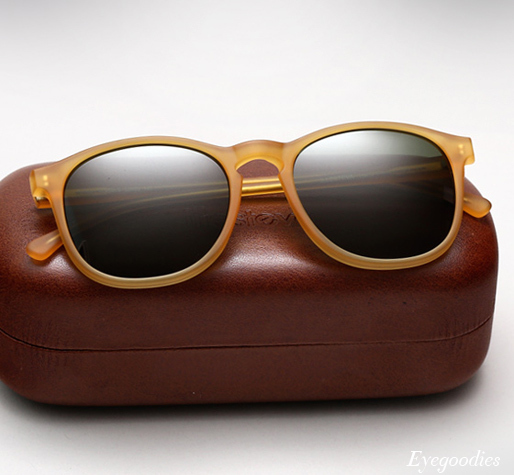 Fresh in from our latest Illesteva sunglasses shipment, we present one of our favorite new styles, the Hudson. 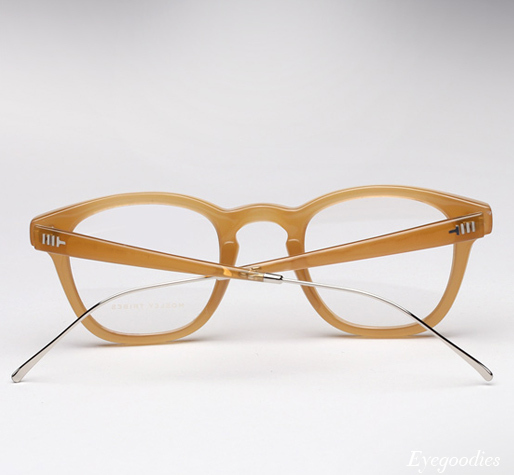 The Illesteva Hudson is a well-proportioned unisex design that works well on most faces. 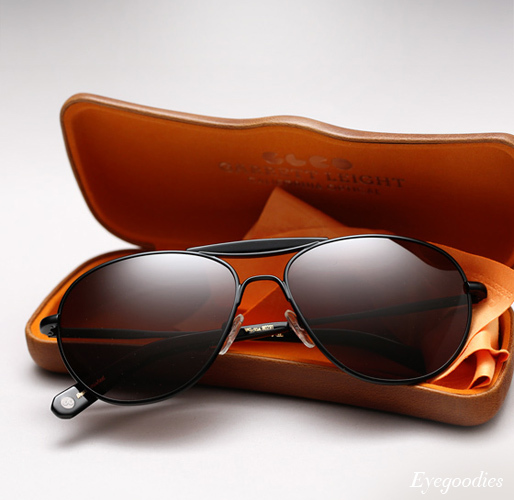 Simple, clean, and timeless, it is a sunglass which is understatedly cool. It is handmade in Italy, features a classic key-hole bridge, and is available in 3 unique colorways: “Matte Blond”, Tortoise, and “Champagne”. 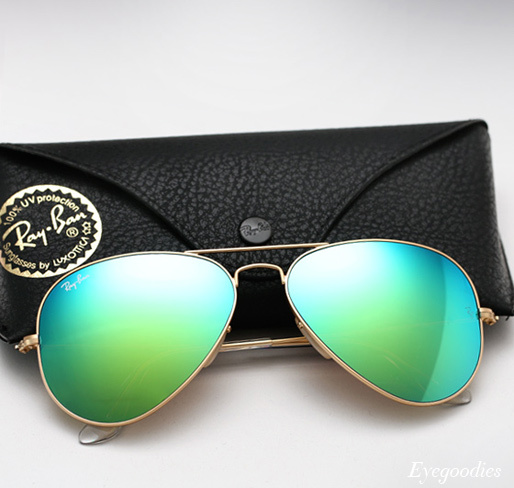 New for spring 2013, the iconic Ray Ban Aviator RB 3025 sunglasses get a splash of color in the form of full-on colored mirror lenses. Mirrored lenses reduce glare while retaining contrast, perfect for driving, days on the ocean, or to simply block those envious on-lookers. Also worth noting, the mirrored lenses give off slightly different hues depending the angle the light catches it, for example the green becomes aqua/ green. Available in 3 vibrant mirror colors, each with matte gold frame: Blue Mirror, “Sunset” Mirror, and Agua Green Mirror. Back in black with a powder coat finish, the ‘SPEEDWAY T’ sunglasses. The Garrett Leight “Speedway with Top Bar” is an aviator which was specifically inspired by a frame worn by gonzo journalist Hunter S. Thompson in the late 1960’s and worn consistently through the 70’s, 80’s, and 90’s. Originally introduced in Garrett Leight’s first season, it returns in the Resort collection with a new limited edition powder-coat color treatment. The powder-coated finish gives the metal a matte appearance, as well as durability from the elements. Available in two colors, our favorite being the Black on Black on Black, that is: black powder-coated metal, black acetate accents, and black lenses, for a clean and modern look. For the more traditionalist, it is also available in a powder-coat silver, with “Honey” accents and brown gradient lenses. 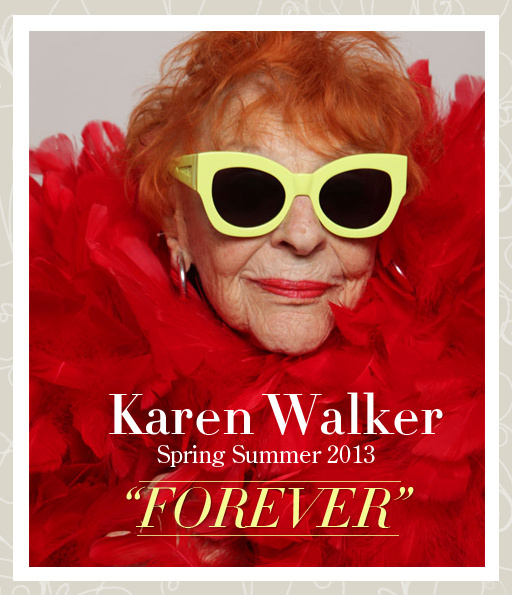 The much anticipated Karen Walker sunglasses Spring/Summer 2013 ‘Forever’ collection is now available. Always completely original, Karen Walker doesn’t disappoint this season and delivers a collection which is simultaneously playful, chic, and beaming with vibrant color. Several new shapes are introduced, ranging from an oversized round sunglass named ‘ORBIT’, to a very well proportioned chunky cat-eye design named “NORETHEN LIGHTS”(our favorite), as well as several stunning frames in between. There is a plethora of colors to choose from, from your classic black to florescent yellow to crystal turquoise or pink. Some beloved best-selling styles also return in new colors, such as the all-popular ‘HARVEST’ in ‘Crazy Tortoise’ or the ‘NUMBER ONE’ in mouthwatering peach. 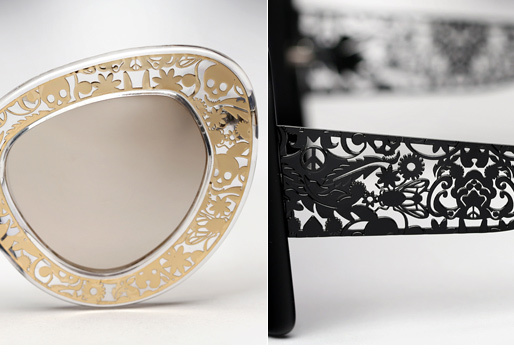 Unique to this season is Karen Walker’s creative use of signature metal filigree detailing, incorporated both on and encased in the acetate of several of the frames. The ‘Forever’ campaign, shot by Ari Seth Cohen of ‘Advanced Style’, is a “celebration eternal optimism”. Each model is between 65 and 92 years young and was photographed in their New York homes, all looking stunning in their Karen Walker shades. As usual, stock is limited so snap up your favorite before its gone FOREVER. Check out the campaign and collection below, paired with our product photos.